Over the past 13 years, Professor (Prof.) Michael Patrick Dunne - Queensland University of Technology (QUT), Professor Emeritus of Hue University, Co-Director of the Institute of Public Health Research under Hue University of Medicine and Pharmacy – has gone back and forth between faraway Australia and Hue City up to four times each year to organize and do a lot of significant work for Hue University of Medicine and Pharmacy. 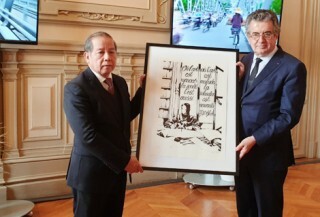 "Although I have worked in many countries, Hue is where I always desire to come back", Prof. Dunne's words and his gentle and lovely face fascinated me as soon as the conversation began. 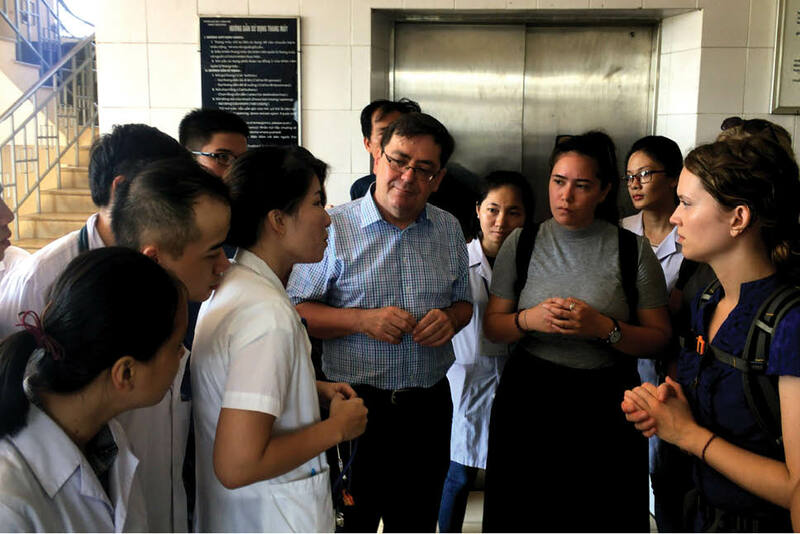 “On a visit to Hue University of Medicine and Pharmacy 15 years ago, I found that the facilities here were inadequate, and there was a great need to improve the capacity of the staff. Therefore, I decided to join in the project on improving the capacity of staff and facilities for Hue University of Medicine and Pharmacy," Prof. Dunne recalled. Also since then, Prof. Dunne and some QUT colleagues to Hue have developed a strategic plan for the development of Public Health (PH) Department - Hue University of Medicine and Pharmacy. This provided a basis for the Project to Improve the Quality of Training Bachelors of PH with the sponsorship of the Atlantic Philanthropies (AP) of the United States implemented from 2007 to 2011. In the first 7 years, Prof. Dunne mainly supported the compilation and revision of the curriculum for bachelors of PH and doctors of preventive medicine, post-graduate teaching curriculums on PH for the study programs to reach the world standard. He together with PH Department developed an outline to ask the AP organization to give financial support for constructing the PH Department building with full and modern equipment. As a result, the organization agreed to support USD 2.5 million to construct the building at Hue University of Medicine and Pharmacy. The building has been completed and put into use since 2012. To date, Prof. Dunne has successfully instructed 3 lecturers of PH Department, Hue University of Medicine and Pharmacy as PhD students at QUT, and 9 doctors, both international and Vietnamese, who completed the PhD student program at PH Department - Hue University of Medicine and Pharmacy. 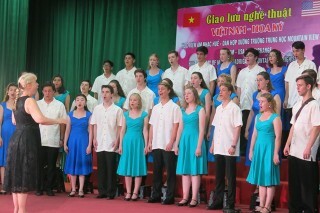 Since 2007, Prof. Dunne has arranged the annual research for Australian graduate students at Hue University of Medicine and Pharmacy. 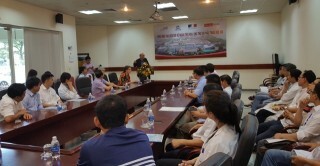 He also instructed 24 Vietnamese graduate students to study for Master’s degree at QUT University. Thanks to Prof. Dunne’s role of "bridge" between the two universities, many students of QUT University came to practice at Hue University of Medicine and Pharmacy and so on. 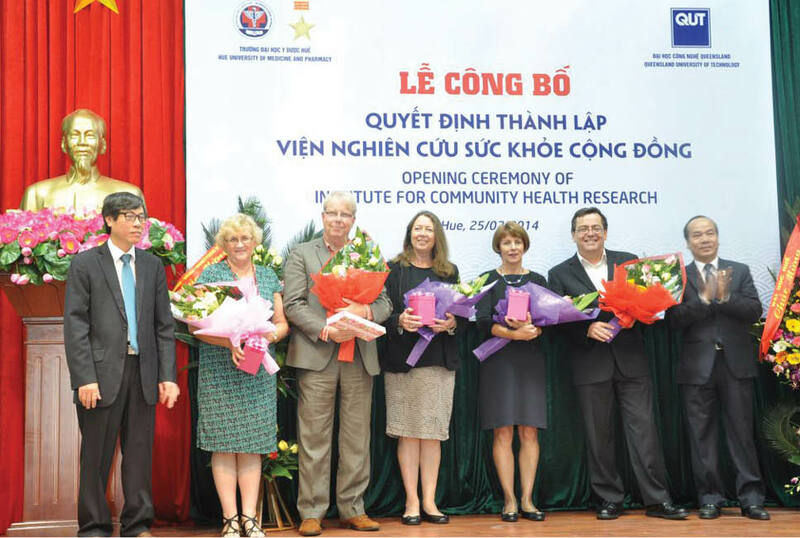 Not only was he interested in improving the capacity of staff and PH training programs at Hue University of Medicine and Pharmacy, but Prof. Dunne also devoted the most attention to the researches of international stature and up to the international standard. The Institute of Public Health Research under Hue University of Medicine and Pharmacy, where he is a co-directorship, realized these researches. “The Management Board of Hue University of Medicine and Pharmacy is eager to develop its university into an international standard one recognized worldwide. The important contributions to this standard are the researches of international stature, recognized by the international universities,” said Prof. Dunne. To assist Hue University of Medicine and Pharmacy to have more international researches, the Institute of Public Health Research he is in charge of implemented many research projects on public health. Evidence from the research results was included in the curricula for PH and medical students and in the training materials for public awareness improvement to help the community have a proper understanding of health issues. "Our researches are not only for the international publication but also for more practical purposes - to benefit the community," Professor Dunne said. "Hue University of Medicine and Pharmacy is currently a university playing the leading role, not following other universities in the country. 20 years ago, Hue University of Medicine and Pharmacy had to follow because there were few resources, but at present it has a completely new position - to become the leading university in Central Vietnam, and we hope it will is the leading university in Vietnam, ” Prof. Dunne said excitedly. In Prof. Dunne’s judgment, Hue University of Medicine and Pharmacy is a university with a reputation not only in medical teaching but also in the country and the region, especially in Southeast Asia. Currently, the PH network in Southeast Asia has looked on PH Department - Hue University of Medicine and Pharmacy as one of the vital components. To date, more than 100 students of Queensland University of Technology have come here to learn about PH, nursing and nutrition. Foreign graduate students also found that the Institute of Public Health Research - Hue University of Medicine and Pharmacy is an ideal place to conduct quality researches published internationally. Also, Cambridge University of England, one of the 5 world-famous universities, has recently come to Hue University of Medicine and Pharmacy to propose cooperation in the big research project “Evidence for a better life” with the participation of 8 world countries. And in the last 2 years, Harvard University of the USA has appointed Professor Dunne to train staff for PH Department - Hue University of Medicine and Pharmacy. "Scientists and experts from the US, Japan, Korea, Australia, Germany and so on now know about PH Department - Hue University of Medicine and Pharmacy. Through Institute of Public Health Research website and scientific articles, they came to the institute to propose research and cooperation. Previously, Hue University of Medicine and Pharmacy had to find them, now they come here. That is the greatest achievement. 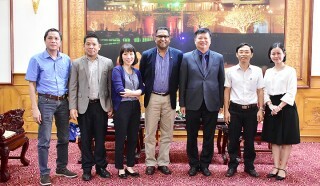 I believe that Hue University of Medicine and Pharmacy with a very open and forward mindset will be able to connect with the whole world,” Prof. Dr. Dunne said. 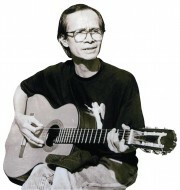 "Hue is where I desire to return"
"In many parts of the world, people are becoming separate and unfriendly, but in Hue, people are very close, they are close to family, friends, colleagues even to neighbors. 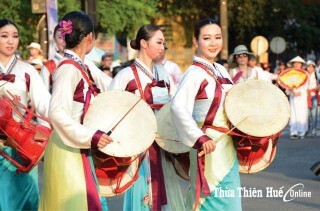 Another special thing is that Hue has stability and social cohesion. That's why I am fond of Hue and Vietnam. I used to work in many countries, but I always desire to come back here to work,” Professor Dunne shared what he felt most impressed in Hue.